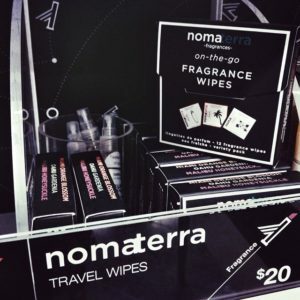 When I first envisioned seeing my niche fragrance brand in a store, I always pictured it being on the shelves of Sephora. 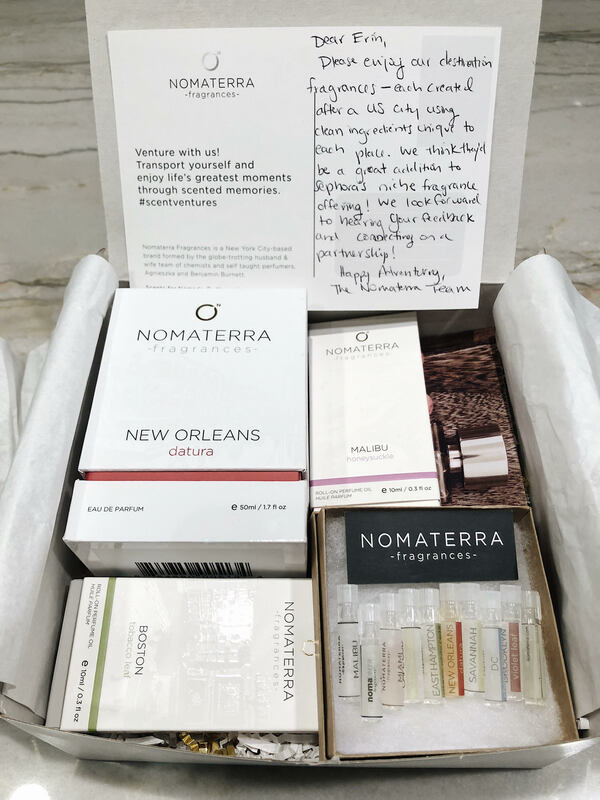 We were offering something different and unique, namely, fragrances based on cities, using ingredients specific to those cities, with each fragrance named after a city in the USA. I thought it was a cool enough concept to pitch Sephora and our fun and bright packaging naturally fit their aesthetic. We launched our brand in December 2012, pitched it to Sephora in March 2013, and were on their shelves in all 320 stores in August 2014. Our little team of three accomplished this with no prior contact to any buyer at Sephora and without investor help at the time. When comparing our Sephora story to other brand founders, I realized there was a method to the madness in pitching the juggernaut. In this four part series, we break down exactly how to pitch your brand to get a response (Part 1), prepare for the in-person meeting (Part 2), negotiate your deal (Part 3), and launch your brand in stores (Part 4). 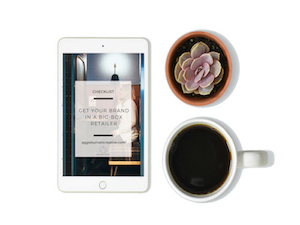 Here’s how we pitched our beauty brand to Sephora, and how you can do it too. 1) IS YOUR BRAND THE RIGHT FIT FOR SEPHORA? First thing to ask yourself is whether your brand actually fits in with the Sephora demographic. Sephora has a cult-like following for a reason. 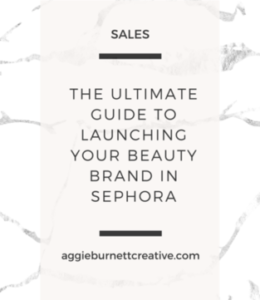 From the curated brands they carry, to the VIB program and their beauty-on-the-go section, Sephora has a clear brand that you need to get before even deciding whether your product is the right fit. Know the difference between the demographic for Sephora vs. Ulta vs. Bluemercury vs. CAP Beauty. Get out the door and experience these stores and their inner workings real time. Walk the aisles and make notes on the ambiance, music, lighting, sales staff, decor, and product offerings. For example, Sephora likes products that fit a current trend. It can be an ingredient, color, or social impact trend. 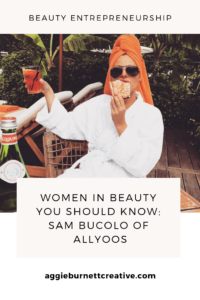 However, because they’re a mega giant in the beauty world, they aren’t super nimble, so they won’t take a product that’s very far ahead of the curve. It has to be just right and as an indie brand—bring something new and different to the table. Which brings us to our next point. 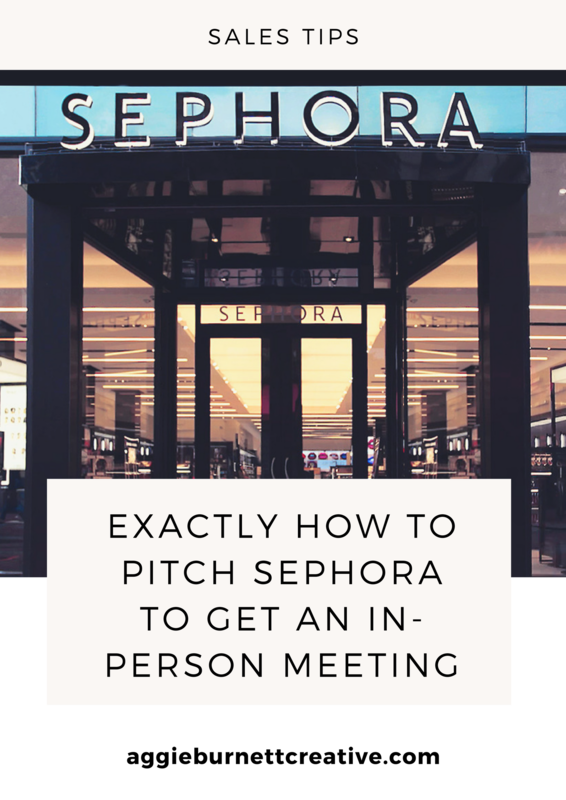 In addition to your elevator pitch, you should confidently know how you’re unique from the thousands of other brands pitching Sephora at the same time, as well as the hundreds of brands they already carry. Competition is tough, so you better have an angle and a reason why Sephora MUST carry you. 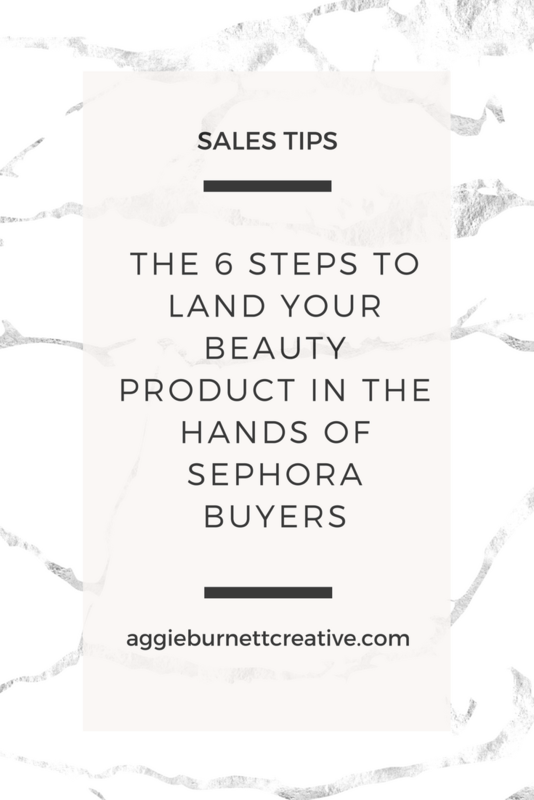 Contrary to popular belief, you do NOT need to participate in an ultra expensive trade show to get your product into the hands of a Sephora buyer. LinkedIn here is your best friend. Do a search on LinkedIn and find the right buyer for your category. Sephora’s buying team works at their SF headquarters at 525 Market Street, 32nd Floor San Francisco, CA 94105. Make it pretty! It’s worth going the extra mile in making your box look like they want to open it. It’ll stand out in the sea of other packages. 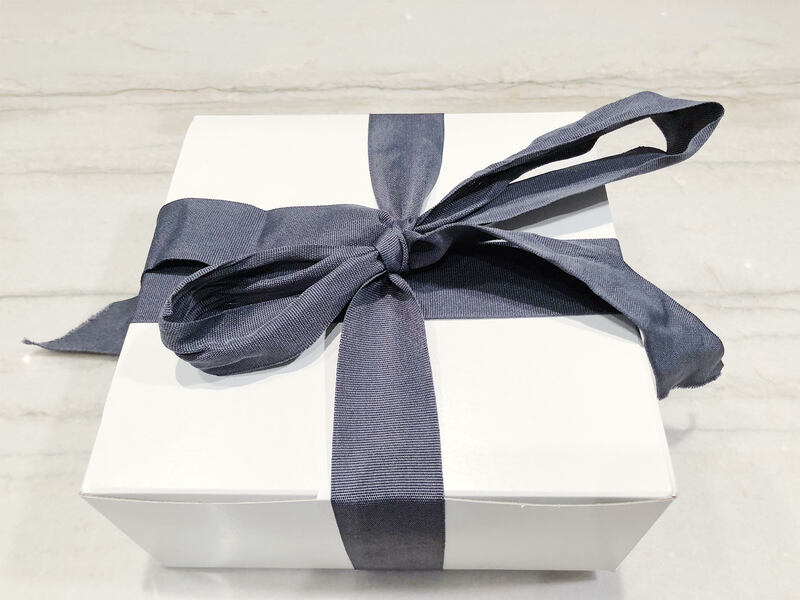 Wrap the box in a beautiful ribbon, lay products in tissue paper of your brand color, seal sides with branded sticker if you have them. I always like to spritz the tissue paper with a scent as well. Ship out in a method that is trackable. We loved using these Muji gift boxes, or these white boxes from the Container store. Follow-up on whether they received the package by email and phone call, 3-4 days after package arrives to them. If you call, do not leave a voicemail if they don’t answer, just try again later. If they answer, introduce yourself, where you’re calling from, and mention the product you sent and ask if they’ve had a chance to try it yet. They’re very busy, but if you’re able to squeeze it in, BRIEFLY (in one sentence) mention why you think THEY and Sephora will love the product (this is usually your one sentence from above). If they haven’t yet tried your products, ask when would be a good time to follow-up. Thank them for their time and hang up. Do not take up any more of their time or stammer on about why your product is great, this will only irritate them. With email, it’s ok to follow-up up to three times, but give it a rest after that. So 3-4 days after they’ve received the package, then another follow-up email the next week, and another the week after that. If they like your product and think it’s innovative and a good fit for Sephora, they will invite you for a meeting in their SF offices. 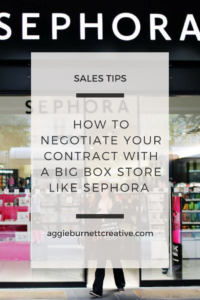 Assuming your goal is to be in the store, otherwise you wouldn’t be reading this, do not hesitate about traveling there or try to negotiate a phone call instead. In my opinion, an in-person meeting is your best shot at making the best first impression on the team. So just go! Make a trip out of it. Schedule the day and time that works best for you, and plan to be nearby their offices a day before. Be prepared with a stellar power point presentation. In Part 2 of this three part series, I’ll outline exactly what should be in your presentation so you can wow the buying team in your meeting and what to do after your in-person meeting. Want a simplified process? Download the “getting into a big-box retailer” checklist below. You can still follow-up again a few months later, with any news that would excite them about your company. 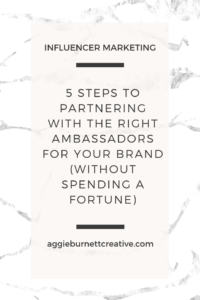 This includes press features, interviews, podcasts, new product launches, marketing initiatives, partnerships with brands they are familiar with, store openings, anything that shows your burgeoning brand has grown and has increased it’s awareness. If you launch a new product or update packaging, you should 100% send a follow up package with the newness. Just because they weren’t initially interested, does not mean you can’t eventually get on their shelves! Follow these tips and get in front of Sephora buyers now. You don’t have to wait ages to approach them. Remember, Sephora is looking for cool and innovative brands like yours to diversify their offering to their customers just as much as you’re looking to join their squad. So be confident in your line and leave us a comment on how it goes! 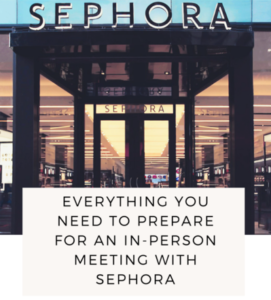 In Part 2 of our How to Pitch Sephora series, we dive into everything you need to prepare for your in-person meeting and what to do after. This was an absolute perfect article thanks so much for the innovative sincere informative information. So kind of you to post something like this I can’t wait to read the next steps. Hi Greta, thanks so much for your kind words. Happy to hear that the article was of value to you. 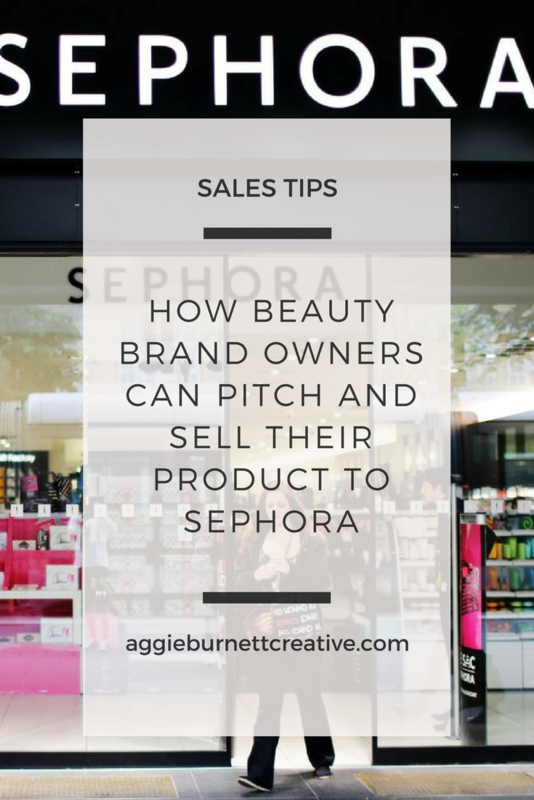 Are you looking to get your brand into Sephora? You have a lovely body care line and it’s great that you are Leaping Bunny certified! Aggie,.thank you for sharing this very thorough story. You really make it easy to get your brand and product ready for market. I did not know you are a creative PR agency as well. I will email you directly. Great website and insightful journey to Sephora. Congrats to you! Thank you for the kind words Robin, happy that you found the tips valuable!